David Duggleby Movers and Storers can help you sell your house! We frequently assist clients to present their homes in the best possible way ready for sale. These clients understand that one man’s treasure is another man’s clutter. This can detract potential buyers from seeing your home in the best possible way. By sensibly reducing the amount of possessions in your home you can market your property much more effectively. We can supply any packing materials you may require prior to storage, which can be short term storage or years until you’re ready. 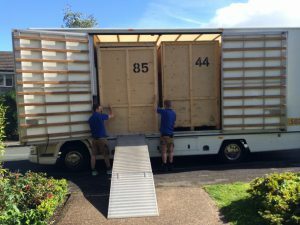 We can arrange to collect your possessions and remove them into our modern, fully secure storage facilities until you’re ready to have them re-delivered at your new home. Our services are also suitable for storing items over winter months, such as summer clothing, BBQ, patio table and chairs, delicate outdoor ornaments. Then once the weather improves, swap over winter items and summer items.